Decorating your house for the holidays can be a fun and exciting occasion. Many communities have decorating competitions, and you want to make your house stand out amongst your neighbours. 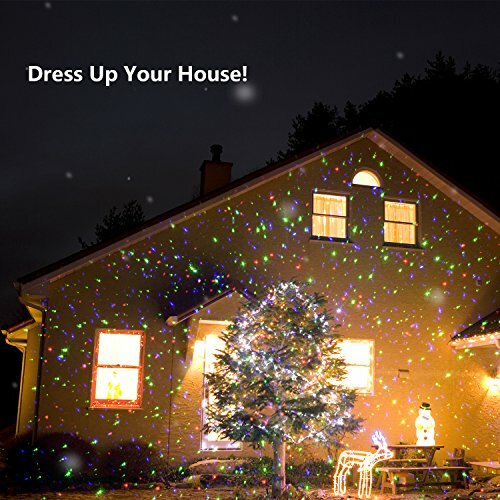 One option can be to use a laser light projector to meet your holiday lighting needs. There are several advantages of using lasers over traditional string lights. Since a projector puts the image of lights on the walls of your house, you don’t have to worry about getting on a ladder to hang them. This also means that you don’t have to do the annual ritual of untangling strings of lights as well. Laser light projectors also come in different colors so that you have a variety of choices available and often use less electricity compared to traditional lighting. You need to know how far away you need to place the projector in your yard to provide the most coverage on your house, and how to install it in your yard. Find a projector that gives you multiple timer options and/or a remote that allows you to control when it turns on and off. Laser light projectors create a lot of heat. 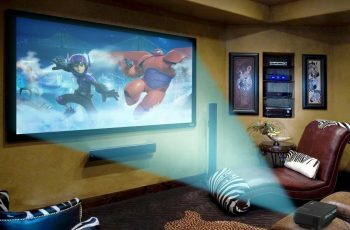 Only projectors that are made for indoor use should be used if you want lighting inside your house. Some projectors have options for different holiday shapes and colors. 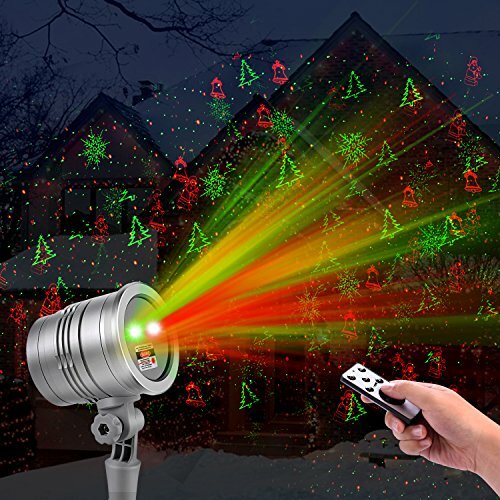 The laser projector from Geekers is designed for indoor and outdoor use but is normally used as a christmas laser light to decorate your house with. It has a metal shell that is designed to help with getting rid of the heat produced by the projector. With this laser projector you have three ways of installing it with the included ground stake, tripod, and wall mount. The laser projector has an auto rotating lighting feature that provides additional effects. The color options for the laser projector are red and green and project starlight patterns. With the included remote, you can set up timers for two, four, and eight hour intervals. Designed to be resistant to rain and snow, the projector can operate in temperatures between -15°F to 90°F. It’s recommended that you place the projector approximately 25 feet from your house. 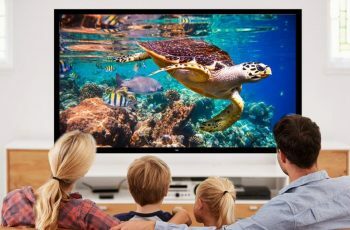 At optimal range, the projector should provide about 2,100 square feet of coverage on the walls of your house. Alternatively you can also project the laser onto your trees for a different lighting effect. This Demeao laser projector features eight different light patterns including stars, snowflakes, snowmen, trees, elk, and more. The projector uses red and green colors to project the images onto your walls. There are three ways of mounting the laser projector with the included stake, tripod, and wall mount. The projector should be placed about twenty-five feet from your house and can cover up to 2,100 square feet. It can be used indoors and outdoors, and is designed to be rain, snow, and sunlight resistant for longer use. The device is made with a metal casing and cooling fin that aides in heat dissipation. With the remote you can customize the light show by controlling the flashing frequency and speed. You can also choose to show just one of the two colors, or a mix of the two. To help automate the lighting, you can set up timers for two, four, and eight hour intervals. Designed for both Halloween and Christmas, the projector from Geekers has eighteen patterns. For Halloween, the designs include pumpkins, ghosts, and skull patterns. For Christmas patterns include snowflakes, Christmas trees, candy canes and others. The projector has red and green lasers, along with a blue light to add additional details to the images. The metal shell that encloses the projector helps to dissipate heat and is designed to be resistant to rain and snow. 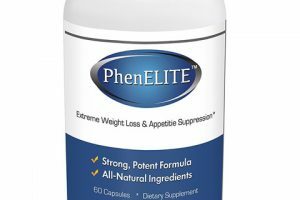 It works in a large temperature range between -40°F and 104°F. The laser projector includes a stand for using it inside and a metal stake allows you to install the projector out in your yard. With the RF remote, you can control the projector from up to fifty feet away. You can adjust the speed with the remote to control how quickly the images rotate and move. The images also flash and twinkle for additional effect. 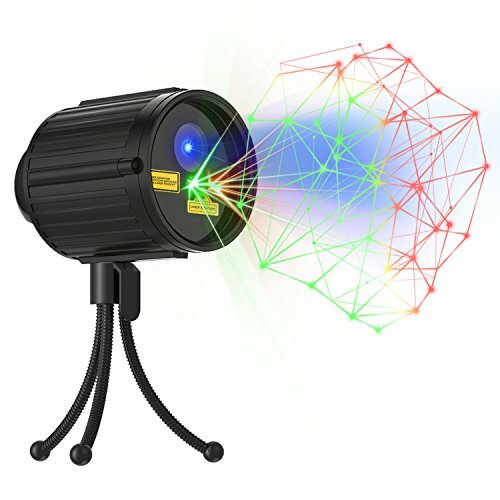 Clustars offers a laser projector with three color mode options available. With the remove you can choose between green, red, or a combination of the two. The majority of the projector is made of plastic with the heat vents made of metal. 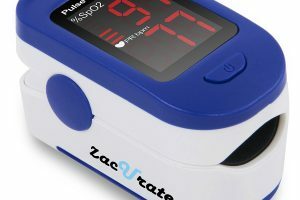 By default the timer runs for six hours on and off for eighteen hours on an automatic cycle. You can also set up custom timers with one hour intervals between one to six hours. 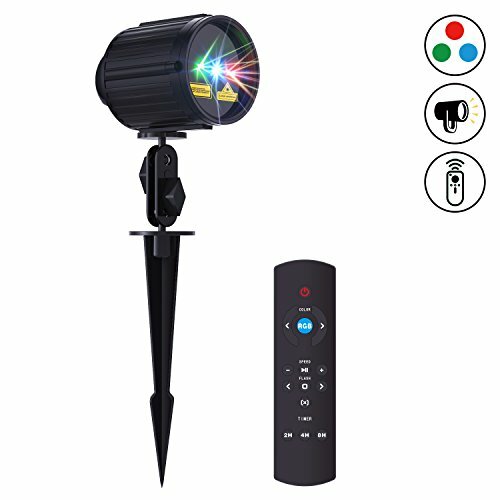 The remote allows you to control the rotation speed, blink speed, and can have the projector flash between the two colors from up to sixty feet away. The projector provides over 3,000 square feet of coverage on your walls and functions in temperatures between -13°F to 104°F. There’s two buttons on the projector that allow you to change the color of the lasers, and switch between rotating and steady mode. Another option available from Clustars, this laser projector projects colors in red, blue, and green. It has seven different lighting effects available. The projector has a built in timer that is setup to run for six hours with a shut off period of eighteen hours. 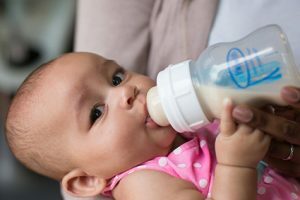 If needed, you can also set it up to stay on for smaller one hour intervals between one to six hours. With the remote, you can adjust the rotation and blink speed of the different lighting effects with four speed settings for each. The projector can be run without the remote using the two push buttons. The left one allows you to choose the colors, and the right one switches the projection mode from rotating to steady. The laser projector is made out of plastic with a metal heat dissipator near the base of the projector. The projector can be used indoors/outdoors and includes both the spike for placing in your yard, and a stand to set it up inside your home. This laser projector from Chunnuo can project from up to 100 yards away from your house. The red and green lasers project star patterns onto your walls and covers up to 3000 square feet of your wall. 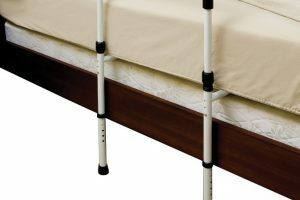 Its weather resistant design allows it to be used indoors and outdoors with the included stand and spike. One downside to the projector is that it doesn’t include a remote to adjust the settings. The stars move dynamically and change shape as it goes along. The projector automatically turns off after four hours of operation. If you needed to have it set up to different times you can connect the projector to a separate timer. The laser projector can function in temperatures between -31°F to 104°F. 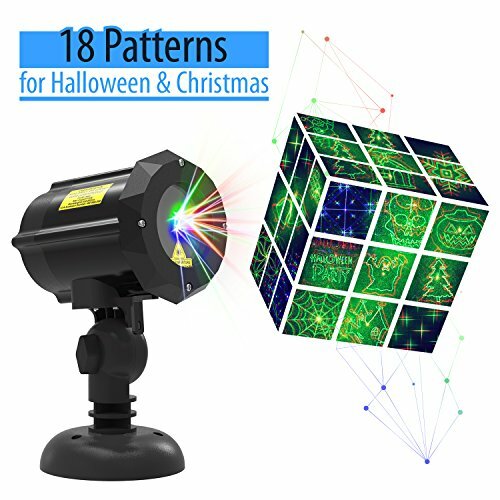 If you’re using it in below freezing temperatures, you may have to wait up to ten minutes for the projector to warm up enough to start projecting the stars. This projector can be used indoors and outdoors (includes a stand for both uses). 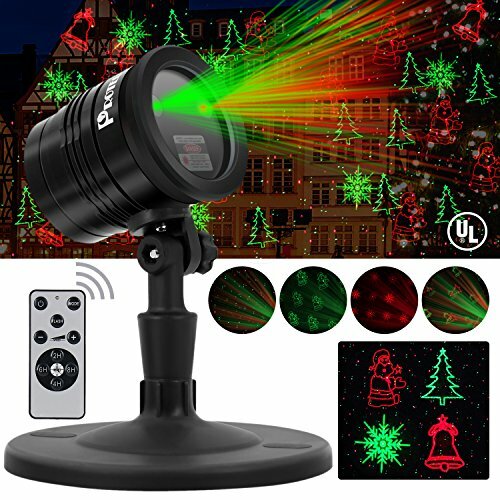 This projector has options for projecting various winter/Christmas shapes (bells, snowmen, trees) and stars in red and green. Each of the patterns can rotate and move with settings for the speed. You also have the option of showing single colors or a combination with the included remote. The remove has various settings for setting up timers for automating the lighting. On a 24 hour cycle you can choose to have the projector stay on for two, four, six, and eight hour durations. There are also settings for setting up 22, 20, 18, and 16 hour cycles if you need to customize the timer further. The manufacturer recommends placing the projector about thirty feet from your house for the best coverage (2150 sq. ft.). 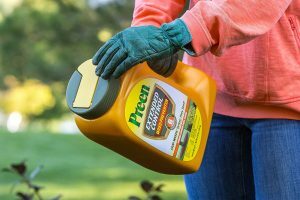 The power cable is a little over nine feet, so you will want to use an extension cord for outdoor use for best results. The projector is designed to be waterproof with an IP65 rating (good for rain protection) and functions well in temperatures between -4°F to 95°F. 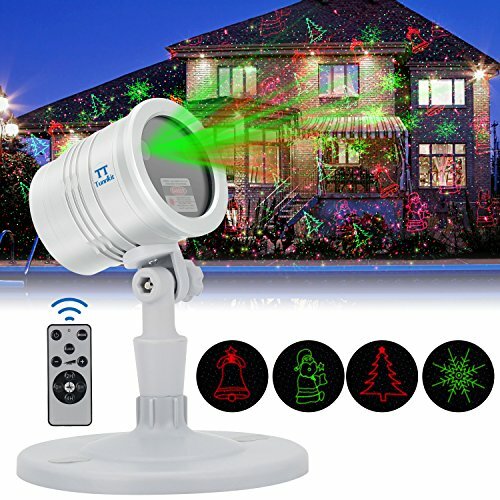 The laser light projector from Demeao allows you to project stars onto the walls of your house with red, green, and blue color options. This projector comes with a stand for indoor use, along with a spike for installing it in the ground. If you’d like to install it on the wall, you can also use the included wall mount to keep it off of the ground. 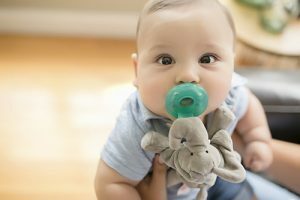 With the remote you can set up timers for two, four, and eight hours. The remote also allows for three different patterns: static, motion, and flash mode. 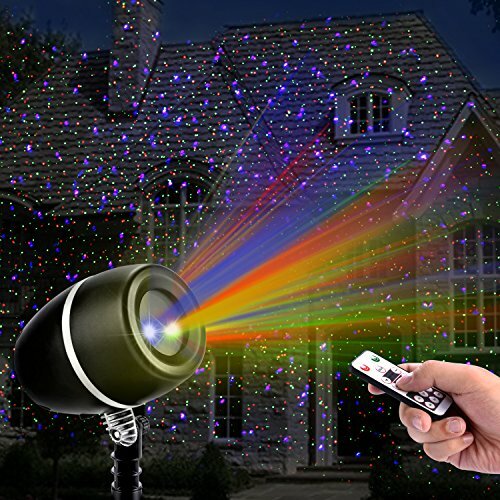 The remote can be used within fifty feet of the projector where you can adjust the speed and colors of the stars. The manufacturer recommends setting up the projector within 25 feet of your house and covers approximately 2,100 square feet. The angle of the projector can also be adjusted to make sure that your house is covered by the stars. With the color options, this projector could also be used for birthday parties and other holidays. It’s designed to work between -15°F to 90°F. Fiery Youth created a laser projector that has eight winter themed patterns that include snowmen, stars, snowflakes, and more. The red and green laser lights are accompanied by a blue light background that can be turned on and off. The RF remote can customize a timer for two, four, and eight hour timers, and functions between 15°F to 90°F. With the remote you can choose from various lighting modes and adjust the speed as needed. The laser projector is made with a metal body that is water, snow, and sun proof. The angle can be adjusted on the stand, and can be used indoors/outdoors with the included tripod, spike, and wall mount. It provides up to 2,100 square feet of coverage and can be placed between five to thirty feet from the wall depending on what you’re projecting on. 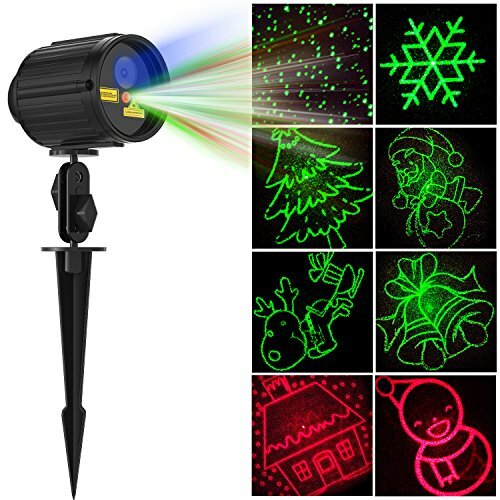 The Tunnkit laser light projector features five Christmas themed patterns: bell, star, snowflake, Christmas tree, and Santa. The green and red lasers can be displayed individually or can mix between the two. With the RF remote you can control the colors, moving speed (slow, medium, fast, and static), and flashing choices. The projector has a built in timer that defaults to eight hours on and sixteen off, but can be adjusted to 2/4/6/8 hours as well. 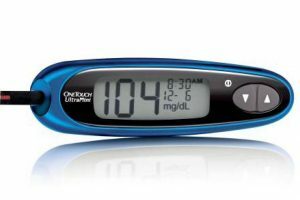 One feature that sticks out is the smart IC protection. If the temperature of the projector gets above 104°F the device will shut off automatically until it cools down. 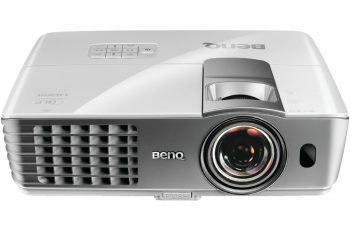 The projector is designed for indoor and outdoor use. It includes a spike for outdoor use, and the stand can be mounted to your wall or ceiling indoors. It can be placed between five to thirty-nine feet from your walls for a maximum of 2,152 square feet of coverage at max range.